We would like to invite you to our next vernissage and movie night at BoConcept (for some pictures and videos of our last vernissage, please see our last update). On Tuesday, 28 April 2015 at 8 p.m. CEST, we will open an exhibition featuring works by artist duo Doppeldenk and by Canadian artist Cory Stevens in Buttermelcherstraße 2 in Munich. 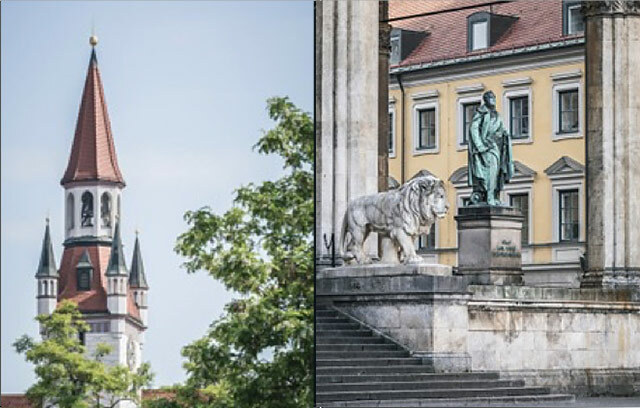 This exhibition combines photographs taken in Munich with the protagonists of popular Hollywood movies. Thus, we will show episodes of the German series "Kir Royal" and a crowd-produced fan edition of Star Wars Episode IV in a movie-theater atmosphere and serve popcorn and soft drinks. Artists Marcel Baer and Andreas Gauch have been collaborating for more than ten years. The duo got its name Doppeldenk ("doublethink") from George Orwell's novel 1984, where the term describes the ability to simultaneously hold two mutually contradictory convictions. 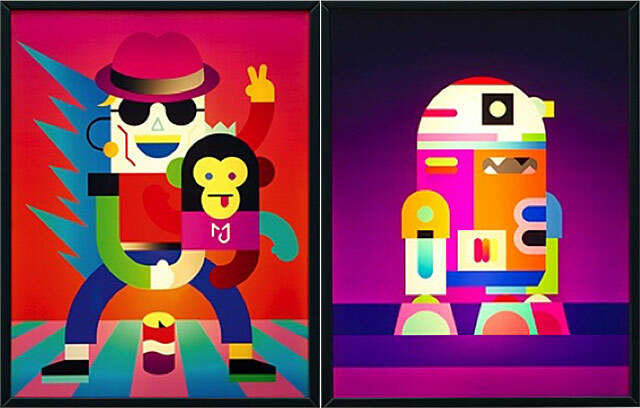 At first glance, the duo's works seem familiar because our eyes are used to the neon colors and catchy, familiar shapes that are frequently used in popular culture. Doppeldenk uses mass-cultural symbols and depicts them as pictograms or idealized characters. This comic-like imagery initially makes viewers feel safe. On another level, however, the artworks show social decline. Cory Stevens works as a freelance photography artist in Munich and Vancouver. His works have already been shown in numerous print and online media, such as Huffington Post or the design magazine designboom. Influenced both by historical and by modern architecture, Cory Stevens' works provide a unique view of everyday buildings, monuments, and living spaces. His oeuvre is an impressive collection of works from the areas of photography, architecture, and digital design. During this event, you may also meet our co-founder and managing director Christoph and our chief curator Elisabeth as well as the Pablo & Paul team.